Try this new twist on an old favorite! 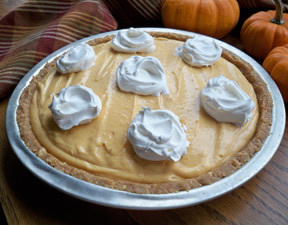 Make pumpkin pie even more irresistible with the addition of creamy butterscotch chips. 1. Preheat oven to 425°F. 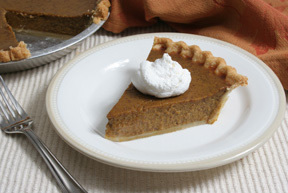 Prepare pie crust as directed on package for one-crust pie using 9-inch deep dish pie plate. Microwave chips in medium bowl on HIGH 1 minute, stirring every 15 seconds until completely melted. Set aside. 2. Mix eggs, sugar, pumpkin pie spice, vanilla and salt in large bowl with wire whisk until well blended. Stir in pumpkin, milk and melted chips until well blended and smooth. Pour into crust. 3. Bake 15 minutes. Reduce oven temperature to 350°F. 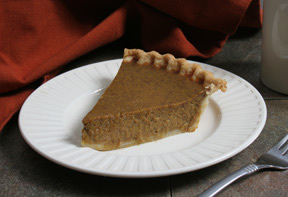 Bake 40 to 45 minutes longer or until knife inserted 1 inch from crust comes out clean. Cool on wire rack.